#1 | Written by Lee about 8 years ago. Excellent job search recommendations. It’s important to approach the job search as a job. Organization is key. Keep good notes on each site that you visit and each employer contacted. Make sure to follow up in a few days to show that you are being proactive. Make a committment to apply to a specific number of jobs per day and don’t deviate from that number. It will soon multiply into a good number of contacts. Job hunting is a numbers game. Make sure that if you do not have a job, that you keep your spirits up. Go for a run for an hour or so, or do something fun. Having a positive outlook will keep you on the success path. Remember, the more you put in the more you will get out. Thank you for your input, Lee. Excellent points! 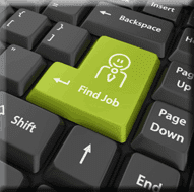 You’re exactly right – job search is a job. Thanks for reading!